The Mediterranean fish soup is definitely one dish you need to try at Skopelos restaurants. The freshest of fish arrive at the chefs’ kitchens and is cooked with Greek extra virgin olive oil and lots of local herbs that total transform your soup experience. Fish soup is super nutritious and a healthy choice for lunch. It is a light meal, has lots of important nutrients and boosts your energy levels instantly, so you are able to keep exploring the island of Skopelos even if you have spent your whole day swimming! 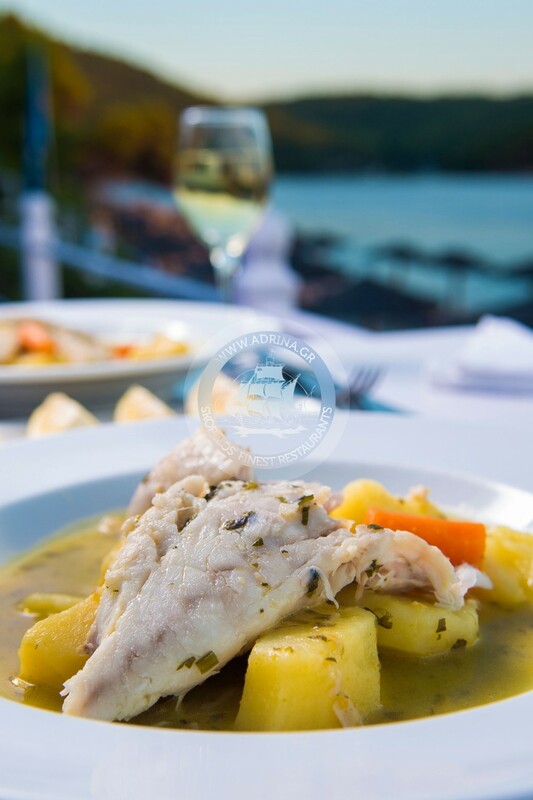 View our fish soup recipe here and enjoy the experience at Skopelos restaurants. In a soup pot we heat the olive oil (low to medium heat). We add onions, celery and garlic and cook for about 7 minutes. Then, we add a glass of white wine, tomato paste, red peppers and orange juice and we cook uncovered for 40 minutes. Afterwards, we add the fennel and cook it until it gets tender (for about 15-20 minutes). On a plate we place the fish fillets and season them with salt and black pepper. We cut the fillets into thin chunks. We add the fish to the broth, stirring a couple of times, in order for the sides to be evenly cooked (about 5 minutes). We place the fish and the soup in a shallow bowl and serve hot. Enjoy delicious fish soup today and discover the Mediterranean recipe’s twist. Find this exciting recipe at the finest Skopelos restaurants.